This entry was posted on Monday, April 1st, 2019 at 1:41 pm and is filed under Upcoming Rides. You can follow any responses to this entry through the RSS 2.0 feed. You can leave a response, or trackback from your own site. Sunday’s forecast looks slightly better than Saturday. Any chance you might shift this fine ride to Sunday if rainy on Saturday? Our group started with 14 riders and expanded to 16 by the end. Not because of the ice cream creating some kind of freak cell division, but because others came to partake in the good food and camaraderie. One flat was the only mechanical issue. Many thanks to Dorothy for sharing my bingsoo with me. It rendered me hypothermic on this cool day, but it was tasty and worth it. Others were more sensible, opting for hot food and drink. I think this is a must-do ride again at the height of summer. 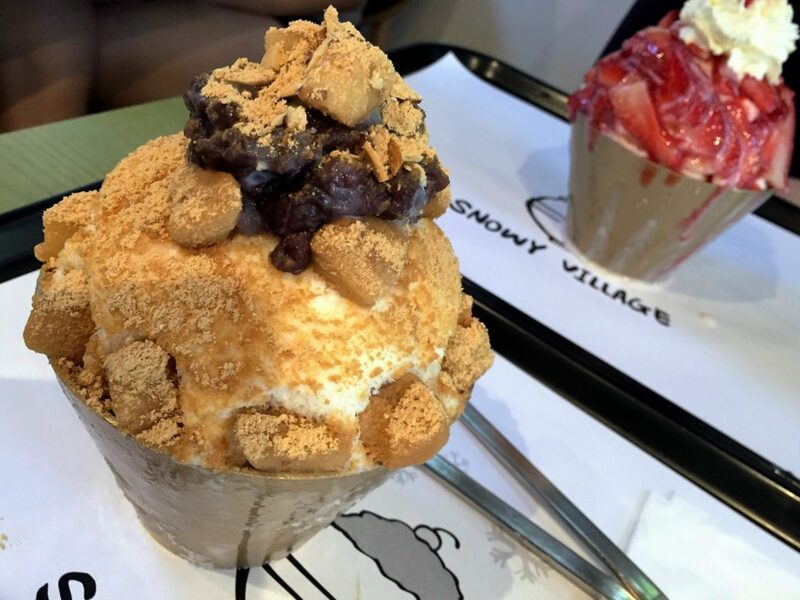 Not to mention all the other bingsoo flavours that are begging to be tried.